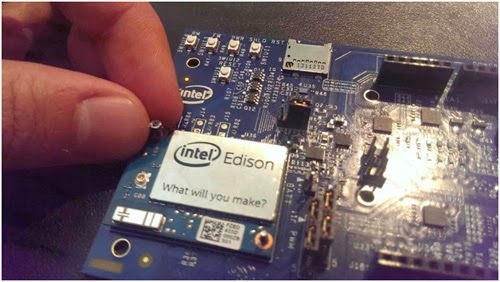 Edison is a SD Card sized computing module made by Intel® with the vision of making wearable devices more powerful and small enough. 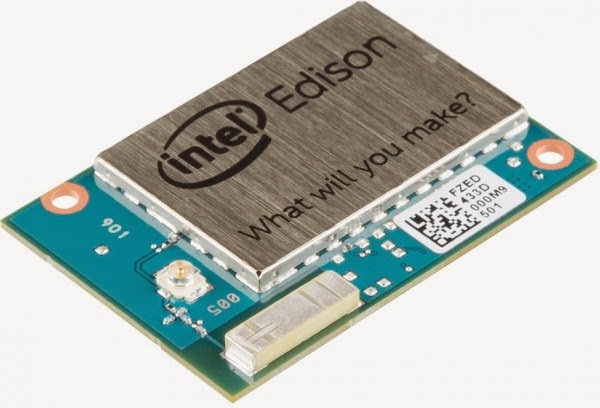 Edison is more powerful then it look in size its come with 32-bit Intel® Atom™ Processor clocked at 500MHz, 1GB RAM, 4 GB eMMC FLASH Memory, WiFi, Bluetooth, UARTS, I2C, SPI, 40 GPIO. 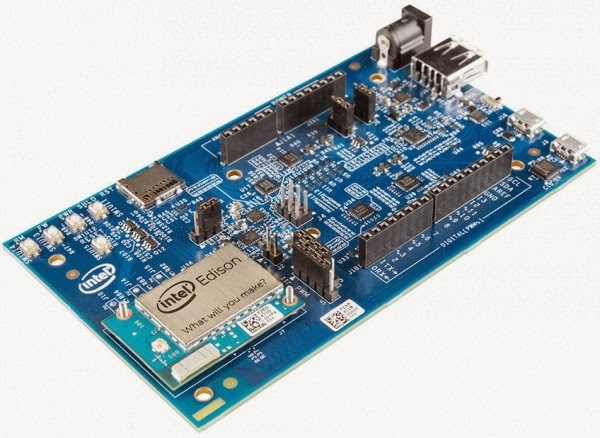 Intel Edison support Linux OS based on yocto and we can program the edison board on c,c++, nodejs, Python ,Arduino,etc. Edison is very small in size because it is developed to use in wearable devices so a very tiny connector(hirose connector) is used which is the hard part of edison for us to interface with different modules. 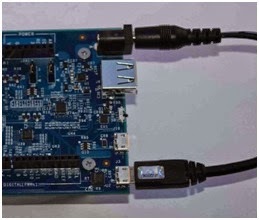 So while buying the edison also buy the breakout board for it. 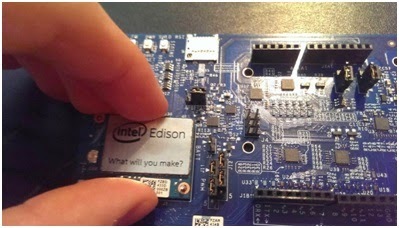 I buy the Edison with an Arduino break out board. 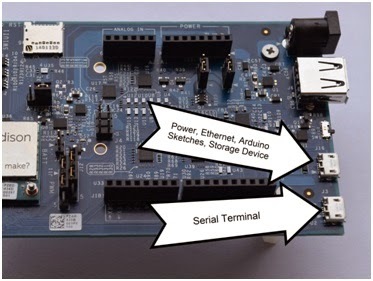 This Arduino expansion board is verygood to start working with Edison. For powering the edison externel adaptor is a good option because power from USB sometime not sufficient. After downloading all the four file above please Install them. After installation open the device manager and you can see the USB serial port note down the number of your serial port. a. 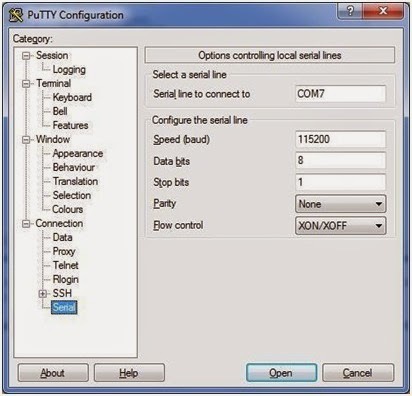 For Connection type, select the Serial radio button. b. 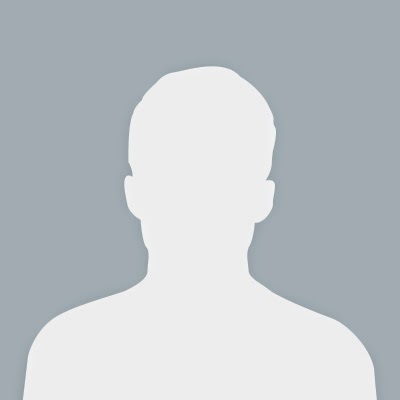 In the Serial Line field, type the COM # (e.g. COM7) of your board. c. In the Speed field, type 115200.
e. In the Serial line to connect to field, type the COM # (e.g. COM7) of your board. f. In the Speed (baud) field, type 115200.
g. In the Data bits field, type 8.
h. In the Stop bits field, type 1.
i. From the Parity drop-down list, select None. j. From the Flow control drop-down list, select XON/XOFF. Now goto the Session on the left hand side . Type a name for the configuration in the Saved Sessions field, chose the comport and speed of 115200 and serial and click on SAVE. If asking for password then press enter again you will be seen the promt as in the below figure. 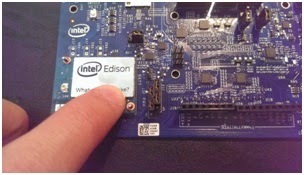 Now you finally Login with linux Youcto in Intel Edison here you can create c program and run it using GCC compiler and also nodejs. 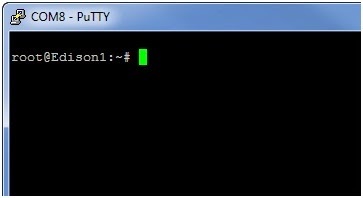 and many more platform.Use VI Edistor of linux to create files.